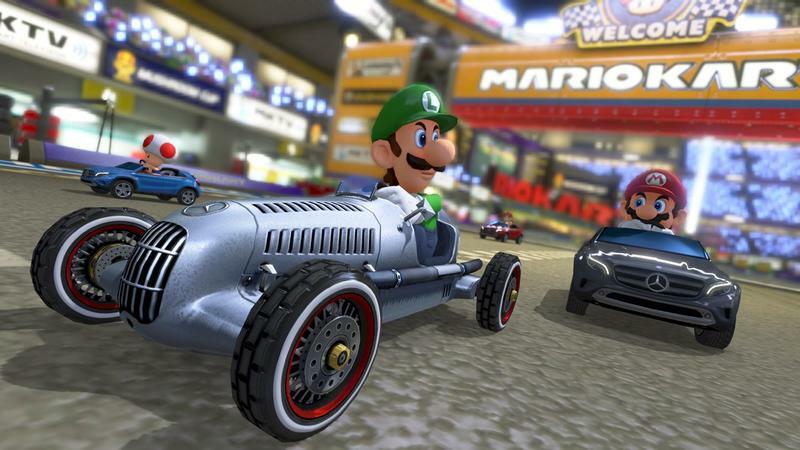 Not just one but three cars will be available in the infamous Mario Kart 8 Mercedes-Benz DLC package. 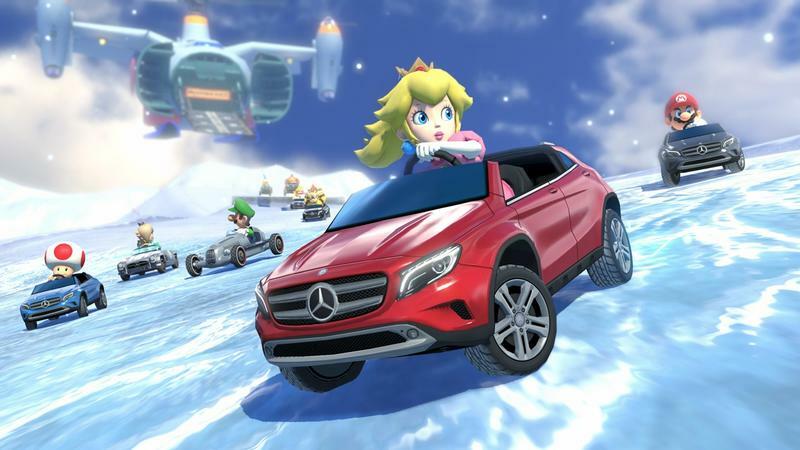 Fans are already aware of the modern day Mercedes-Benz GLA, but a new gallery and trailer provided by Nintendo also confirm the DLC package will be jumping back into Mercedes’ long history. The “Dream Sports Car” 300 SL Roadster from the 1950’s and the “Legendary Formula Racing Car” W25 Silver Arrow from the 1930’s will also be available for free for all those who own the game in the U.K. and Japan on Aug. 27. 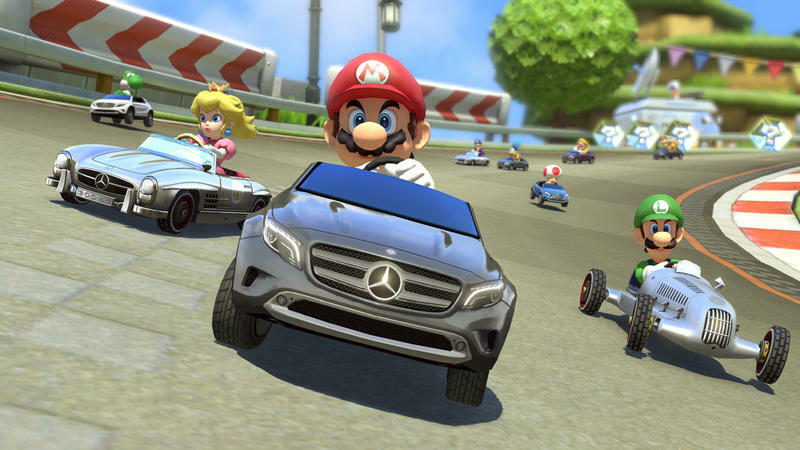 Nintendo will hold a Mercedes Cup tournament from Aug. 27 until Sept. 23 for anyone using the cars. Still no word on whether or not Nintendo of America is going to let us in on all the fun. Further updates on that date will also allow players to put the map display on the main TV, should you prefer to play Mario Kart 8 while looking at the Wii U Gamepad’s touch screen. A new statistics page will show your number of coins, number of wins and losses, and who your favorite racer is. I mean, is there anybody out there cooler than Luigi? The game will save your previous character and kart settings, meaning there will be no need to change up between playing sessions, and the “Next Race” and “Watch Highlight Reel” options will be flipped, granting relief to clumsy gamers who consistently hit the wrong one. I’m shocked at the lack of furor over these in game advertisements. 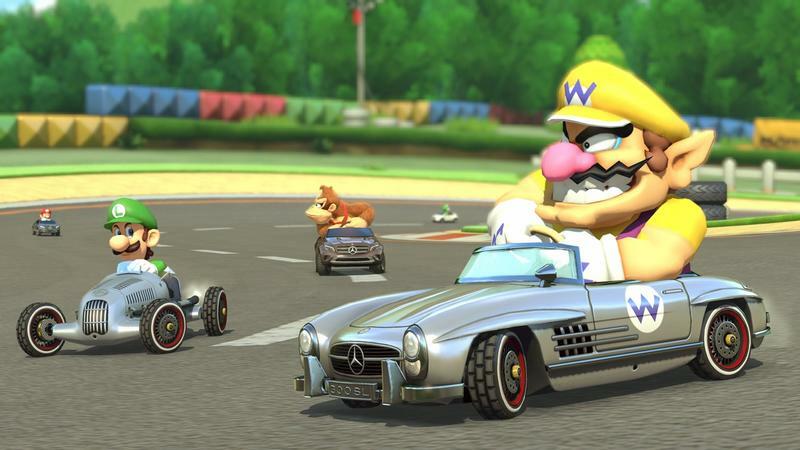 Perhaps its just the surreal image of Mario cruising around in a Benz, or perhaps it is just another privilege that Nintendo gets to toy around with that others simply can’t without criticism.